Matthew records some of Christ’s most terrifying and sobering words about Judgment Day. In Matthew 7: 21-23, Jesus warns that righteous actions are meaningless without genuine faith. And in Matthew 25:31-46, he describes how he will separate the sheep from the goats, the latter of which will include those who didn’t feed the hungry, assuage the thirsty, welcome the stranger, clothe the naked, or visit the sick and those in prison. That final category has long been the last bastion of my personal disobedience. As much as possible, I ignored Christ’s command to visit those in prison. It was so far beyond my comfort zone that it was more than off my radar; it was out of the atmosphere. Still the Spirit worked in my rebellious heart and I finally agreed. I share these reflections not to focus on any person (especially me), but to demonstrate how great God is and with the hope of igniting in you a spark that might eventually burst into flames that incinerate any lingering intimidation. I initially didn’t want to go through all the stress of preparing speaking presentations, and I certainly didn’t want to step through the secure doors of any prison. But I tried to submit my stubborn will to God’s sovereign will. Heartfelt prayer combined with focusing less on myself and more on Christ quieted my spirit. By God’s grace, I could walk through clanging doors and metal detectors without my jelly legs giving way. I could walk through halls crowded with prisoners without fear, even smiling and greeting them. And I could thoroughly enjoy interacting with the men in Divine Hope Reformed Bible Seminary as I shared some writing tips with them. Eager students with sharp minds and teachable spirits, these men remained engaged and asked lots of questions that kept me on my teaching toes. Even though we concentrated on writing skills and practices, their Christian faith was evident. They repeatedly expressed appreciation for the instruction, but especially for our simple action of coming to visit them in prison. 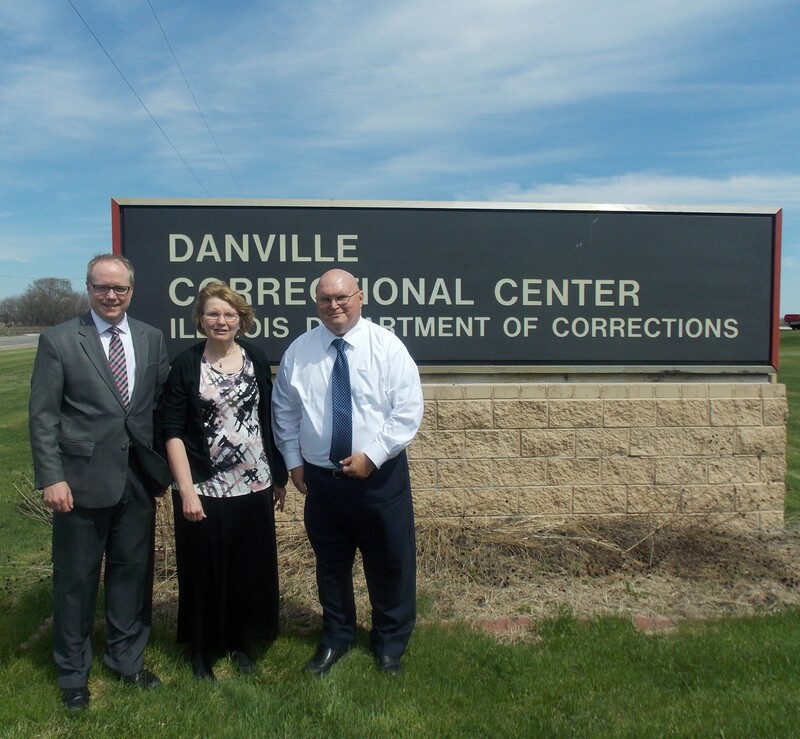 That evening and the next day, I participated with Paula Brummel and Annette Gysen in leading a conference on Resting in God to women inmates at the Rockville, IN, facility. On Friday evening, we led book discussions on my devotional, A Month of Sundays: 31 Meditations on Resting God, which a donor had contributed to women signing up for the conference. What an incredibly humbling experience to hear firsthand how God is using something I’d written to touch the lives of these women! It was as if he peeled back the veil and showed me a glimpse of his work behind the scenes. In my first presentation on Saturday, I encouraged the women to rest in our Triune God’s steadfast love by trusting in the Father’s sovereignty, believing in the Son’s salvation, and walking in the Spirit’s sanctification. Paula then spoke passionately about God’s ordinance for Sabbath rest, and how it applies not only to the past, but also to the present, as well as what it means for the future. 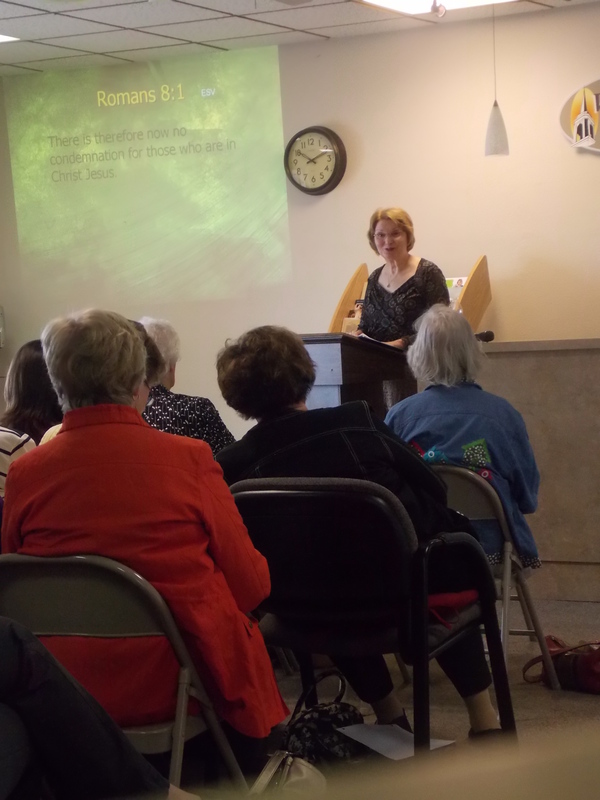 After lunch, Annette used meaningful real-life examples to discuss resting in God during times of suffering. In my final presentation, I talked about how we need to surrender all to Jesus in submission to his will, in sorrow for our sins, and in selflessness toward others. I stressed that resting in God primarily involves focusing less on self and more on Christ. The next day, at morning worship in my own church, the last song was “Amazing Grace.” I sang with tears running down my face, clinging to my husband. All I could see was an image of those women’s glowing faces. Don’t be afraid to open the intimidating door of visiting those in prison. God can and will equip even the most reluctant and terrified Christian. I’m living proof. Trust him! The above article by Glenda Mathes appeared on pages 18 & 19 of the June 25, 2014, issue of Christian Renewal. The article prefaced this one about my brother in the Lord, Uriah Courtney, wrongfully incarcerated for eight years. And in this earlier blog post, I wrote about how God’s work was evident at every turn during my time in Illiana.